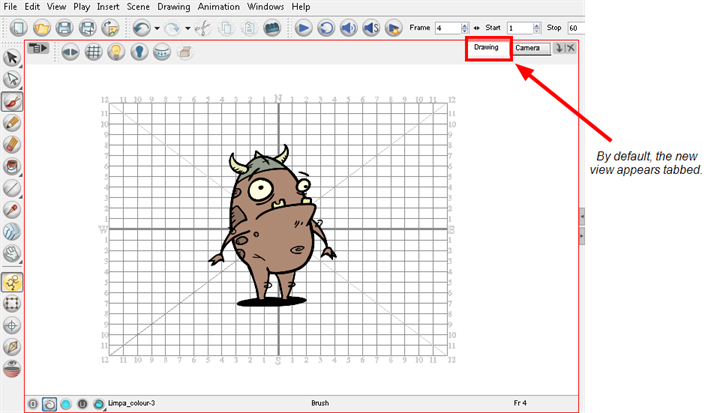 It’s important that you become familiar with the following elements of the user interface, this will help you to start using Toon Boom Animate Pro. You can learn more about the highlights described here, and how to use them in a production context, throughout this guide. 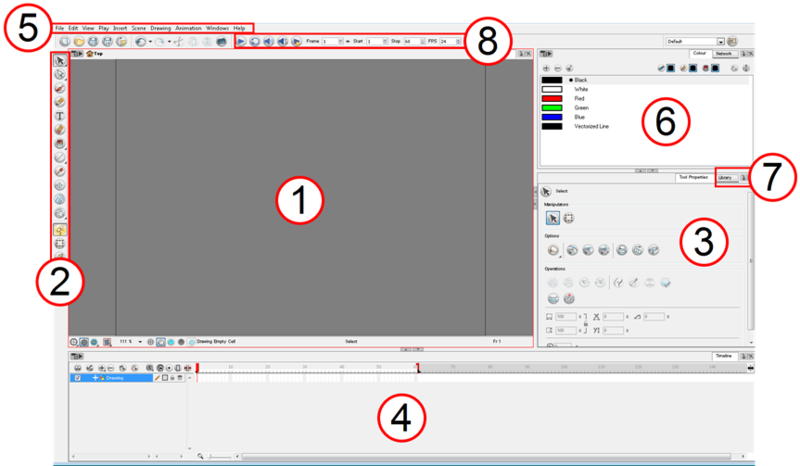 When you start Toon Boom Animate Pro for the first time, the default workspace is displayed. It contains all of the main elements you need to use. 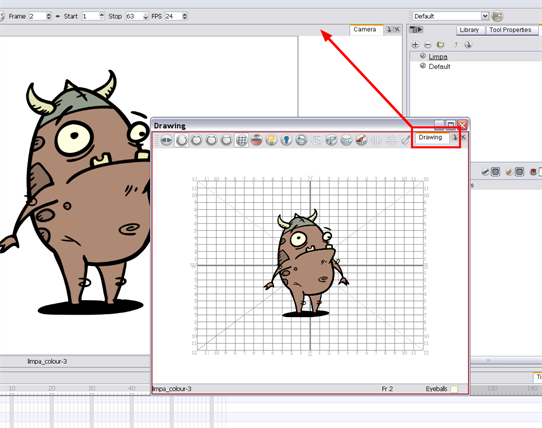 Toon Boom Animate Pro supports zoom in, zoom out, rotate, pan and reset view position for easy interface navigation. • Zoom In: Zooms into the view. From the top menu, select View > Zoom In or press . • Zoom Out: Zooms out of the view. From the top menu, select View > Zoom Out or press . 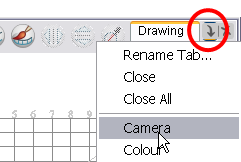 • To zoom in and zoom out, hold down [Spacebar] and your middle mouse button while moving the mouse up or down. • To pan the view, hold down the keyboard shortcut [Spacebar] and drag your mouse in the direction you want to pan the view. • To Recentre the view: recentres the view on your mouse cursor or press [N]. • Reset Rotation: Resets the view’s rotation to its default position. From the top menu, select View > Reset Rotationor press [Shift] + [X]. • Toggle Full Screen: Enlarges the selected view to full screen. The full screen process is done in three stages. 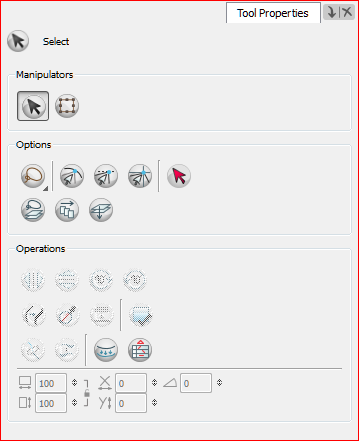 From the top menu, select View > Toggle Full Screen or press [Ctrl] + [F] (Windows) or [⌘] + [F] (Mac OS X). If you're using a tablet or trackpad that supports touch, then you can also use standard two-finger gestures for zoom, rotate, and pan of the canvas.